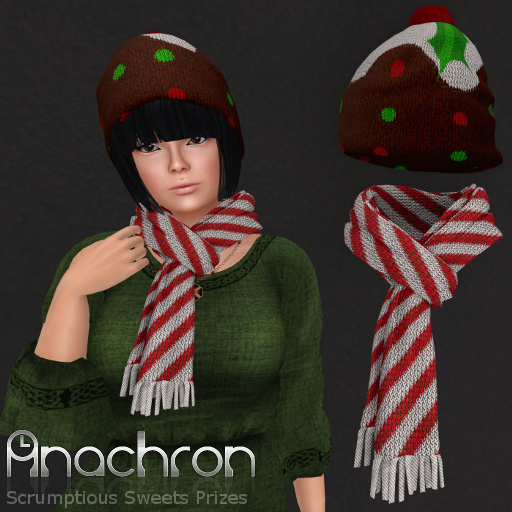 Not one, but two prizes with this cute and sweet hat and scarf set from Anachron. Ideal for both male and female avies and available from today at Scrumptious Sweets! Grab yours now!